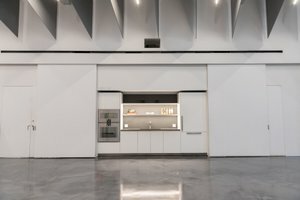 This beautiful space is a State-of-the-Art Sustainability centre and event space that allows New Yorker to explore environmental issues through the lens of food, horticulture, arts and much more. 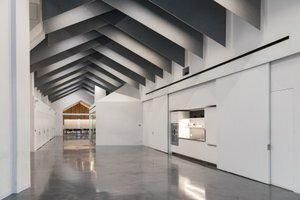 It is the perfect destination for a creative Pop-Up, Event or Product Launch. 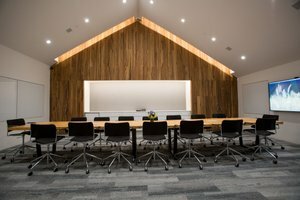 It is a modern and airy event space that has two rooms, a dining area and a spacious conference room featuring a salvaged wooden table. 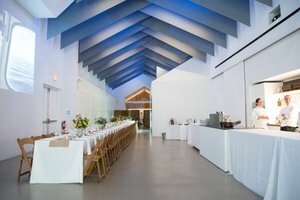 The space has high ceilings and white walls, creating a welcoming atmosphere for your next event. Centrally located in Union Square, this space is a street level space for up to 205 people standing and 100 seated including. 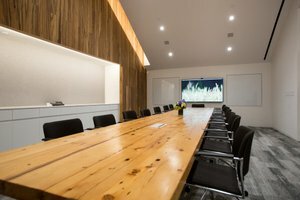 There are built-in projectors and sound systems, a conference room with laptop connectivity, video conferencing capabilities, Boffi Soho Teaching Kitchen, catering kitchen & Con Edison Green Wall.